This makeover required specialist root canal treatment to improve the foundations and longevity of the aesthetic restorations. Amy’s central incisor’s root was repaired and a stable core was built. 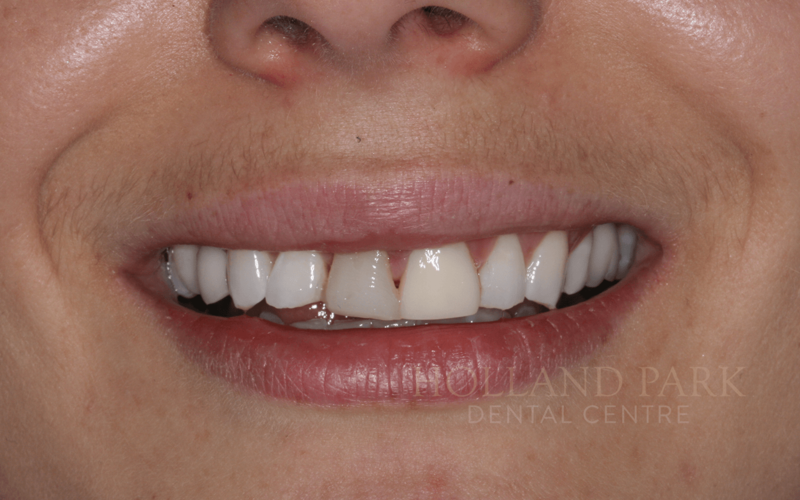 Dr Shan Lam then went through a series of temporary restorations to find the best shape, length and profile for Amy’s smile. 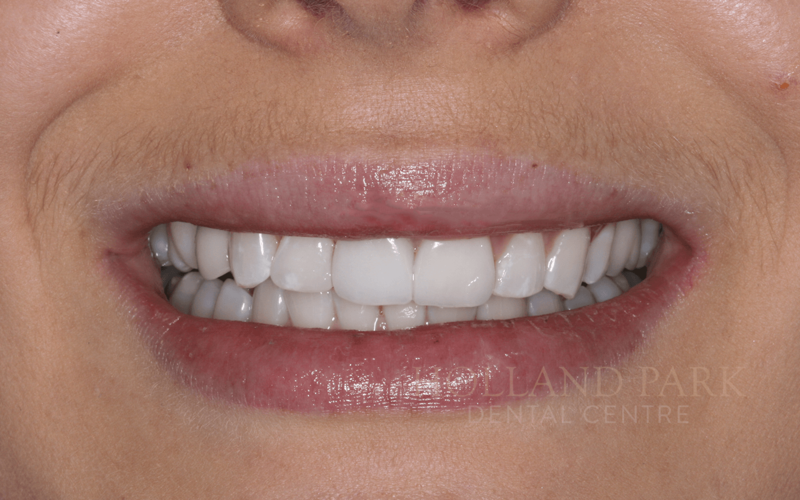 The final porcelain crowns and direct composite bondings have given Amy a beautiful, natural-looking result which has transformed her smile and her confidence.